An unidentified person incinerated the visitor’s book at Jerusalem’s Dormition Abbey shortly after Pope Francis visited a sensitive holy site. 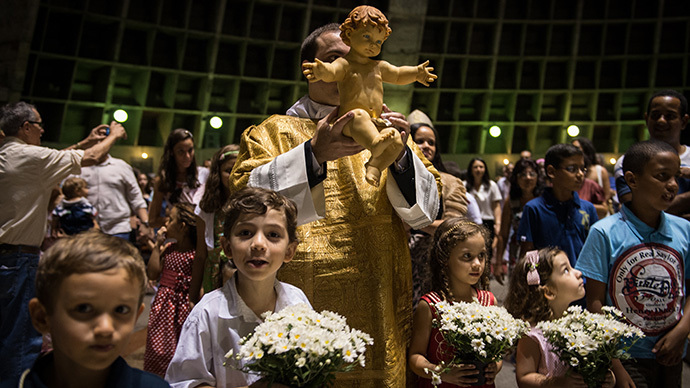 The hate attack marked the latest in a series directed at Christian sites in the run-up to the pontiff’s visit. 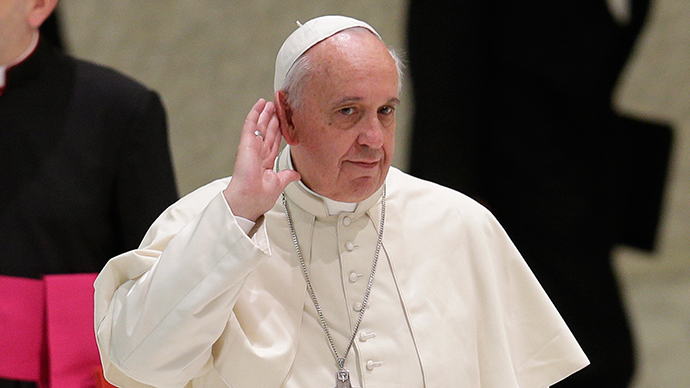 The incident took place shortly after Pope Francis departed the area. 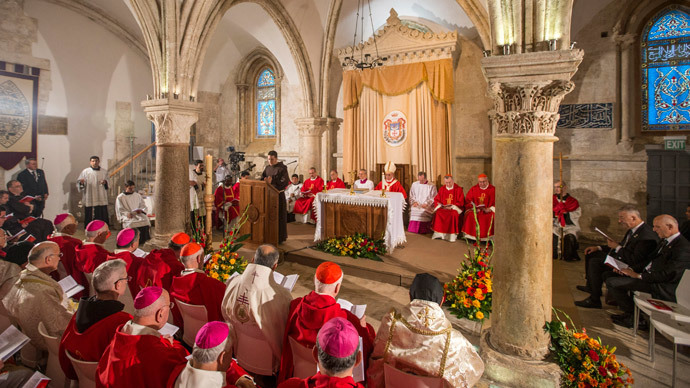 The abbey is next to the Cenacle – the site of Pope Francis’ visit, said to be where the Last Supper took place. “Around 7 o’clock, one of the monks smelled fire, and we came to the place and saw that someone had taken the book of prayers and gone behind the church organ, where he set the book on fire in a small storeroom,” Father Nikodemus Schnabel told Haaretz. The man in question had a “non-Jewish” appearance and had not been wearing a kippa, according to Jerusalem Police eyewitness reports. They stated that the man had gained access to the abbey, and lit candles before fleeing the building. Monks succeeded in dousing the flames, but the book was totally destroyed and the Abbey’s storeroom damaged before firefighters could get to the scene. A bench and crosses had also ignited which contributed to the damage. Church officials have said that the abbey was in a secure area for the visit and only those with permission would have been permitted entry. Jewish nationalists have been protesting against the Pope’s visit, which drew to a close on Monday, because the Vatican has been requesting easier and increased access to the two-story structure. Christians believe Jesus held the Last Supper in the upper room. The room does not usually host Christian rites. Right-wing groups have expressed concern that the government is intending to hand over elements of the structure – which houses the Tomb of David – to the Catholic Church. The previous day, 26 activists were detained at David’s Tomb having refused to leave when asked by police, and antagonistic graffiti was daubed on the walls near a church in Be’er Sheva’s Old City on Friday. 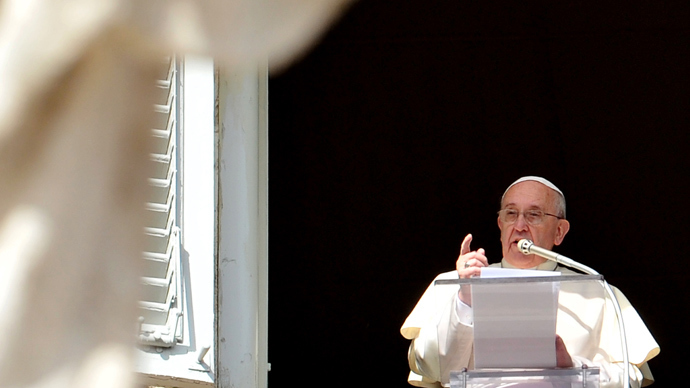 Pope Francis had been conducting a three-day visit to the Middle East, visiting Jordan, the West Bank and Israel. 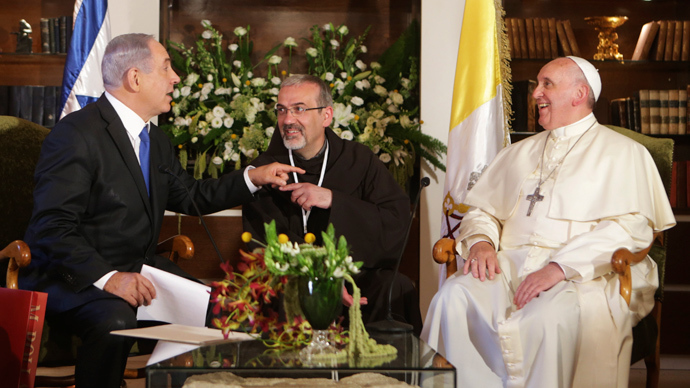 In efforts to encourage the stalled peace process, he invited Israeli President Shimon Peres and Palestinian President Mahmoud Abbas to the Vatican next month. 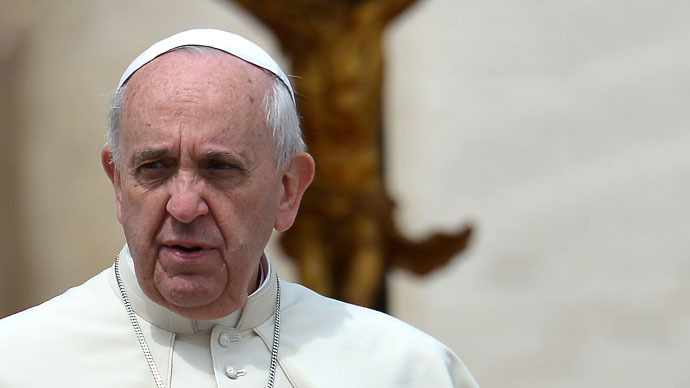 During the visit, Pope Francis became embroiled in an argument with Israeli Prime Minister Benjamin Netanyahu on Monday over the language Jesus Christ spoke.